Through Eagle Strategies LLC., Richard and Drew provide fee-based financial planning, investment advisory services and access to investment management programs. Eagle Strategies LLC is registered with the Securities and Exchange Commission as an Registered Investment Adviser and is an indirect, wholly-owned subsidiary of New York Life. The Advanced Planning Group collectively leverages years of practical experience as lawyers, accountants and financial service providers to offer New York Life agents unparalleled assistance in estate, business, and life insurance planning. Because the Advanced Planning Group supports agents who have a nationwide clientele, the group has insight consulting on estate and business plans at all levels of wealth across all 50 states. The Advanced Planning Group is called to action to advise on hundreds of business and estate plans each year; and that means Richard Schmidt can bring experience, value and insight to your planning situation. 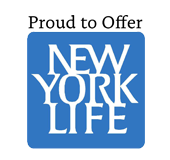 We work with New York Life Retirement Plan Services to help clients offer compelling executive benefit plans, driving value for executives, organizations and shareholders. This team of professionals brings legal, tax, actuarial, and plan design experience to help our clients win the executive talent war while controlling the bottom line. Plus, their industry-based client service structure helps them bring relevant, “insider”-type insights to their client relationships. *Based on revenue as reported by "Fortune 500, Ranked within Industries: Insurance: Life, Health (Mutual)." Fortune Magazine, 2014. See the rankings here.